Great strings, nice rich sound and great feel too. Strings brings out the sweet old sound from my vintage guitar. It is a treat to my ears Beautiful sweet overtones. Not loud but warm sound. The 1st string sings beautifully. 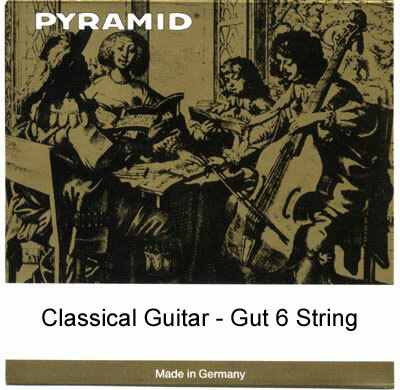 Q: Do you need a special instrument for using these gut strings or can these be used to string a modern classical guitar? These should work fine on any classical guitar with a standard scale length. Q: what makes these strings stand out among the rest of the Gut strings for guitar? And how long do they last? These are currently the only gut strings we can get. The have a very nice sound overall but as one might suspect the basses are muted compared to more modern offerings. They are very delicate and care should be taken when restringing as any kinks will usually ruin the string. How long they will last is tough to say since so many factors come into play but they will certainly have a shorter life than other strings. Hope this helps.